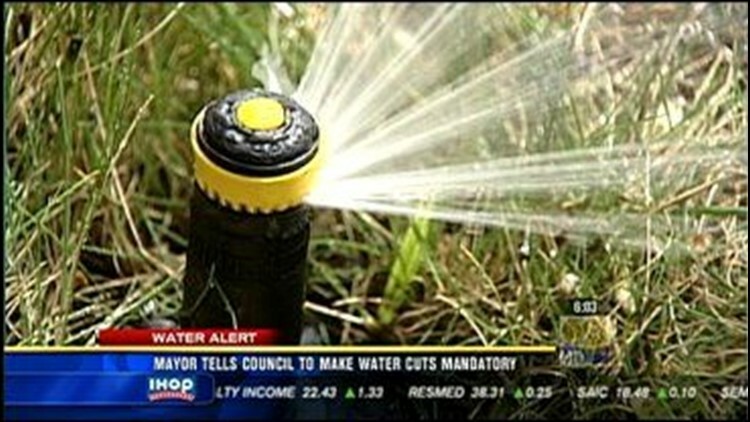 The City of San Diego is trying to brace residents for mandatory water cuts. The Water Department held a meeting Monday night in La Jolla, at which people asked questions about restrictions on washing their cars and watering their lawns. The restrictions will go into effect on June 1, with the goal of reducing water use across the city by 10 percent to avoid penalties from water wholesalers.